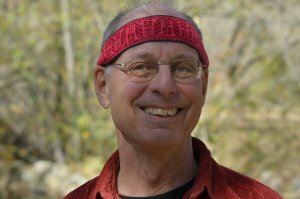 Eliot Cowan, author of Plant Spirit Medicine and a fully initiated Tsauirrikame (shaman) in the Huichol tradition, rediscovered the ancient practice of using plant spirits for healing. Working patiently and consistently over the course of several years, and drawing on his background as a Five-Element Acupuncturist, Eliot found a language of working with the plant spirits for the healing of others. After attaining success with his own clientele, Eliot went on to develop a training course to make this type of healing accessible to anyone who makes the commitment to study Plant Spirit Medicine. Born in Chicago in 1946, Eliot describes himself as having an “ordinary life”. Raised in urban areas, he felt no particular kinship with nature, and his ever-present allergies led him to view plants as an enemy. As he began to re-discover and work with Plant Spirit Medicine, Eliot made peace with plants, no longer vulnerable to the allergies that plagued his childhood and early adulthood. Little did he know he would go on to revitalize the ancient method of healing through the spirits of plants. Eliot’s introduction to herbalism came from a crankly old goat named Eloise. Eloise had an eye infection that the local veterinarian diagnosed as incurable and fatal. Not willing to settle for that diagnosis, Eliot looked to a book on veterinary herbalism. Using herbs from his farm, Eliot dosed the goat according to the instructions. Within a few days, Eloise was her normal self again. The disease had completely cured and Eliot found he had a passion for natural healing. After a few more herbal successes, Eliot felt the need to seek out a teacher and change careers. Investigating several options with no success, he finally found what he was looking for in the renowned teacher, J.R. Worsley. He began studying the Chinese medical tradition of the Five Elements with Dr. Worsley at the College of Traditional Acupuncture in Leamington Spa, England. Here he received his Licentiate, Bachelor and Master of Acupuncture degrees, and served on the faculty from 1979-1980. During his acupuncture training with Dr. Worsley, Eliot learned about the ways of the spirit. He also learned that anything that could be done with the needles, could also be done with herbs, with local herbs having the most healing power. Upon his return to the United States, Eliot determined to revive the use of local plants to heal the spirit. With no teachers available to teach him, Eliot resolved to find out for himself what was available and how to work with the plants. An auspicious meeting with the Huichol Indian shaman, Don Jose Rios of Mexico, made a profound impression on him, convincing him that shamanic training would empower him to discover the properties of the herbs in his area. Anthropologist Michael Harner became Eliot’s first mentor in shamanism, giving Eliot a tool for contacting the plant spirits. Combining the teachings of the plants with his knowledge of the spirit and healing, Eliot rediscovered the ancient practice of Plant Spirit Medicine. 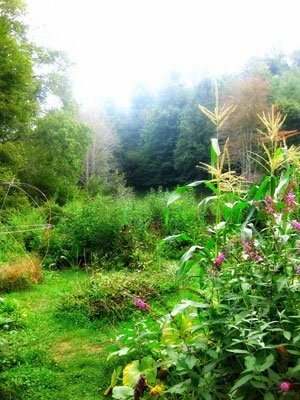 Eliot and his staff have been teaching Plant Spirit Medicine in the United States, England, and other countries around the world for the past 25 years, and have trained over 500 plant healers. He is the founder of the Blue Deer Center in New York State. In addition, Eliot completed a 12-year Huichol apprenticeship in 2004 and is currently a Tsauirrikame, an elder shaman in the Huichol tradition. He works as a healer of both modalities.